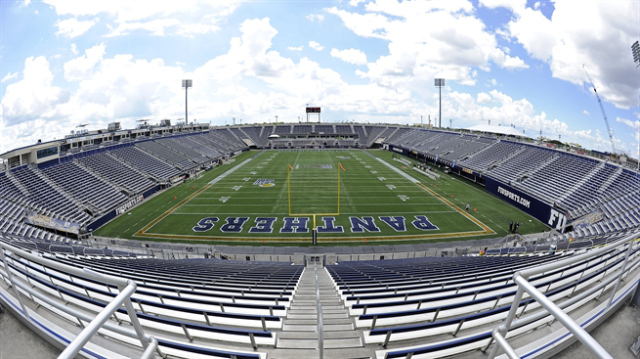 NFL scouts are expected to converge on of Florida International University's Alfonso Field at FIU Stadium on December 8th for the National Bowl college all star game. 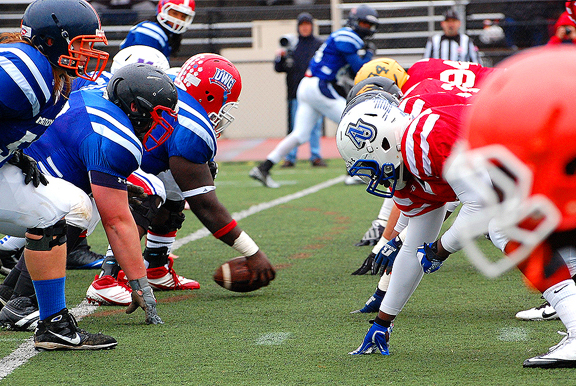 The National Bowl showcases only the most elite All American and All Conference Seniors from around the Nation (USA) that travel to the game from almost every state representing over 400 Division 2,3, and FCS schools. Players travel to the game from as far as Texas, North Dakota, Illinois, Oregon, Colorado, Michigan, Minnesota, Utah, New York, and more. The National Bowl is the only elite non-FBS post-season all-star that has been scouted by several NFL teams along with the Canadian Football League (CFL), Arena Football League (AFL), other arena leagues including the (UFL), (IFL), (PIFL), and see 10+ Sports Agent’s firms. The National Bowl is presented by East Preps LLC and founded by its owner Michael Quartey Esq., who also is a Professor of Sports Law at Holy Family University in Philadelphia, PA. The bowl rosters are unique in that they give the NFL, CFL, and additional scouts a chance to view and get to know some of the best players from smaller schools many college football fans may not have even heard of. This year the National will be head coached by award winning and 20 year NFL veteran Coach Mike Stock formerly of the Green Bay Packers while another team will be headed by Coach Chris Thompson of the Lehigh Valley Steelhawks who is a veteran pro arena head coach with AFL experience. Additional coaches include former Tampa Bay Buccaneers and Jacksonville Jaguars Strength Coach Brian Ferguson who currently serves as an assistant coach with the Jacksonville Sharks of the AFL and doubles as their Director of Player Personnel. Arena coaches Gary Haase of the Wilkes Barre/Scranton Soldiers, James Parham of the Trenton Freedom, and returning coach Jim Collins will also be returning from coaching in previous National Bowl Games. Former NFL defensive back Jerron Wishom who played for 4 NFL teams and 7 year NFL veteran Running Back of the Kansas City Chiefs and Washington Redskins Donnell Bennett Jr. will also assist with coaching giving this year’s game a star studded coaching lineup. The game has been previously attended by many scouts from the St. Louis Rams, Kansas City Chiefs, to the CFL’s Montreal Alouettes, AFL’s Cleveland Gladiators, and Philadelphia Soul. All 32 NFL teams review the game film and player stats which have led to an unprecedented 8 players from last year’s game go onto NFL camps. With its new location in Miami, Florida even more scouts are expected to attend shining a bright light on smaller school players while bringing new meaning to the Sunshine State. Its proximity to Sun Life Stadium may even draw the attention of the Miami Dolphins! 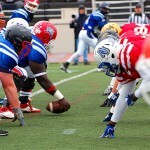 The National Bowl Game is an annual post-season college football all-star game consisting of the top players from Non-FBS schools. 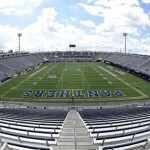 The Annual National Bowl is played at Alfonso Field at FIU Stadium in Miami, Florida on the campus of Florida International University.